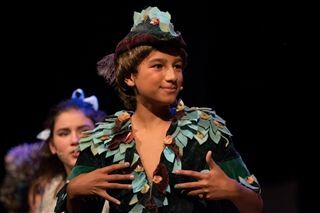 The cast and crew of Peter, Pan Jr. delighted audiences over the weekend during a three-show run. The high flying musical was packed with adventure as Peter Pan, Wendy and the lost boys traveled through Never Never Land. Thank you to Director Katy Cannata and all the parents who helped make the musical a roaring success. For more photos, visit our Facebook page here.